Organic Fiji’s certified organic, virgin coconut oil range is not only great for moisturizing your skin, these products actually heal your skin too. 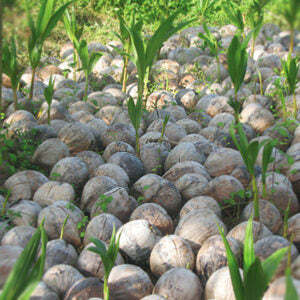 Coconut oil has many beneficial healing properties, one of them being anti fungal elements. Coconut oil is a wonderful, organic and natural treatment for athlete’s foot and various other fungal infections. Let your body heal with wondrous and pure gifts from nature. Many people who use over the counter or prescription medication for fungal infections find that not only does the problem reoccur after treatment, but they also get unwanted side effects from using harsh chemicals on their skin. Coconut oil is a much more holistic approach to healing your skin issues. The results are more effective and longer lasting too. 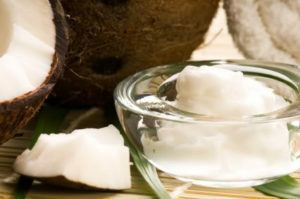 Coconut oil is abundant with beneficial medium-chain fatty acids. These medium-chain fatty acids are responsible for killing and treating bacteria, fungal infections and viruses. In a study of this particular molecular structure, The Journal of Applied and Environmental Microbiology states that medium-chain fatty acids prevent the creation of the micotoxin citrinin within a fungus. Citrinin is what allows the fungus to infiltrate into the skin. Coconut oil can therefore prevent the fungal infection from developing on the skin and heal the problem area. According to Natural News, lauric acid found in organic coconut oil also combats fungal infections. “Lauric acid is converted into monolaurin, a compound that is highly toxic to viruses, bacteria, fungi and other microorganisms because of its ability to disrupt their lipid membranes and virtually destroy them. Monolaurin is effective for treating candida albicans, fungal infections and athlete’s foot”. 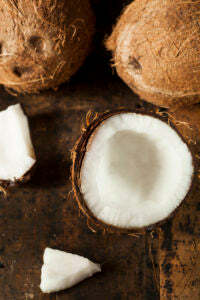 Another study, the 2007 Department of Medical Microbiology & Parasitology in Nigeria report, also suggests that organic coconut oil has antifungal properties. The study shows that raw coconut oil kills fungal infections such as Candida glabrata, Candida albicans, Candida parapsilosis, Candida tropicalis, Candida stellatoidea, Candida krusei and more! All of these beneficial components of certified organic coconut oil help to prevent, combat and heal athlete’s foot and other fungal infections of the skin. Keep your skin clean, healthy and fungi free with a true gift from nature… pure, organic, virgin coconut oil! 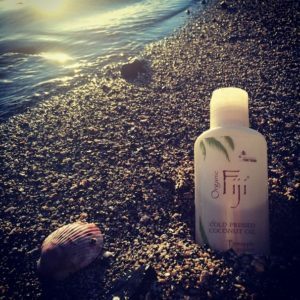 Shower in warm water and wash feet with Organic Fiji’s organic coconut oil soap. Rinse and pat dry with a clean towel. Generously apply Organic Fiji’s virgin coconut oil over feet, making sure to cover the problem area. (We recommend our 12oz Fragrance Free raw coconut oil for best results). For a more intensive treatment, cover feet with plastic shoe / foot covers (or small grocery bags) so that the coconut oil can absorb effectively without being rubbed off. The longer you can leave the coconut oil on your feet to absorb into your skin the better. We recommend an overnight treatment for best results. Repeat on a daily basis to see effective and speedy results.